1. Soldier General Duty - SSLC/Matric with 45% marks in aggregate and 33% in each subject. No aggregate percentage required for higher qualification i.e 10+2 and above, however, minimum 33% in each subject required. 3. 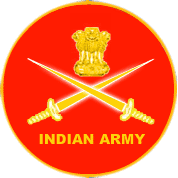 Soldier Technical (Aviation/Ammunition Examiner) - 10+2/Intermediate exam pass in Science with Physics, Chemistry, Maths and English with 50 % marks in aggregate and 40% marks in each subject. OR Three years Diploma in Engg (Mechanical/ Electrical/ Automobiles/ Computer Science and Electronic & Instrumentation Engg) from an recognized Polytechnic Instt/ITI.